Batman: Return to Arkham Release Delayed | Nerd Much? Those who were waiting for the Batman Arkham redux will have to wait longer, much longer by the looks of it. 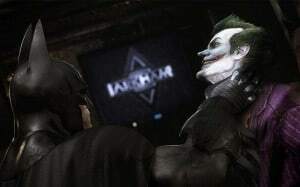 “After reviewing the progress of the project, the team at WB Games has decided to delay the release of Batman: Return to Arkham to give the team at Virtuous Games additional time to deliver a polished Batman Arkham game experience,” said WB Games’ Steve Grayson. Batman: Return to Arkham was originally announced back in May following numerous leaks. The boxset will feature upgraded graphics, character models, environments, effects, lighting and shaders. It will surprisingly consist of Batman: Arkham Asylum and Arkham City and all of their DLC content and GOTY edition bonuses, but won’t include Origins or Arkham Knight. Without a new release window in sight, we have to wonder if WB plans to add more to the package to sweeten the deal. Hopefully, we’ll learn more soon. For all things Batman related, stay tuned to Nerd Much. Give us virtual high fives on Twitter and Facebook for updates.